Mary Pattison Irwin moved to Pittsburgh toward the end of the 18th century and created a rope-making empire in the growing city. This woman was Mary Pattison Irwin. She was born in Ireland in 1754 and by age 30, she was engaged to a doctor. But during a St. Patrick’s Day ball, a Revolutionary War hero named Colonel John Irwin walked in and the two quickly fell in love. Hugh Nevin Jr., Mary’s great-great-great-great grandson, said they ditched the party and ran off. 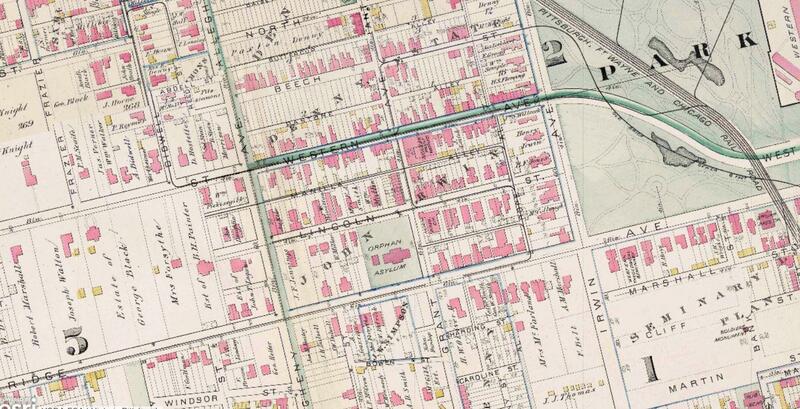 A 1882 map of the North Side, showing the several plots of land owned by John Irwin. The property would stay in the family for decades, with one street eventually renamed Rope Way in honor of the family's business. The young couple lived in Philadelphia briefly and then made their way to Pittsburgh. The city was still rural and rugged, but war veterans, like John, were entitled to land in the new country. The Irwins settled and had four children. They relied on John’s war pension, but realized that they’d need to earn more money. John Irwin had been wounded many times during battle and was likely not a lot of help when it came to day-to-day operations, Nevin said. But the business was lucrative: Pittsburgh was growing and its rivers were a significant factor. Those rivers carried boats and those boat needed rope. An excerpt from the book Colonial and Revolutionary Families of Pennsylvania: Genealogical and Personal Memoirs by John W. Jordan in 1911. The paragraph describes the accomplishments of Mary Pattison Irwin. The Irwins started their rope factory along the Monongahela River. On official directories, the business was listed as “John Irwin and Wife.” That title was unusual, Nevin said, because wives and women in general weren’t professionally acknowledged. Including Mary as a co-operator was a public admission of her role in the company. “She was doing it in a world where women didn’t do that and didn’t open up businesses and run them,” Nevin said. Making rope was profitable, but required the space for a ropewalk: a long, narrow path where workers spun and braided strands of material to make the sturdy cord. Leon Pollom of the history blog nowthenpgh.com said rope was hand-spun from the hemp grown around western Pennsylvania. Below is a video of the old rope walk in Chatham historic dockyard in South East England. The operation in Pittsburgh would have been similar to this. The Irwins moved their ropewalk to three different locations downtown and one on the North Side. It would have been one of the first major industries in Pittsburgh. And because they were the biggest game in town, Pollom said it’s likely the Irwins provided rope to some significant historical figures including Commodore Matthew C. Perry on his way to Lake Erie and Meriwether Lewis headed West. 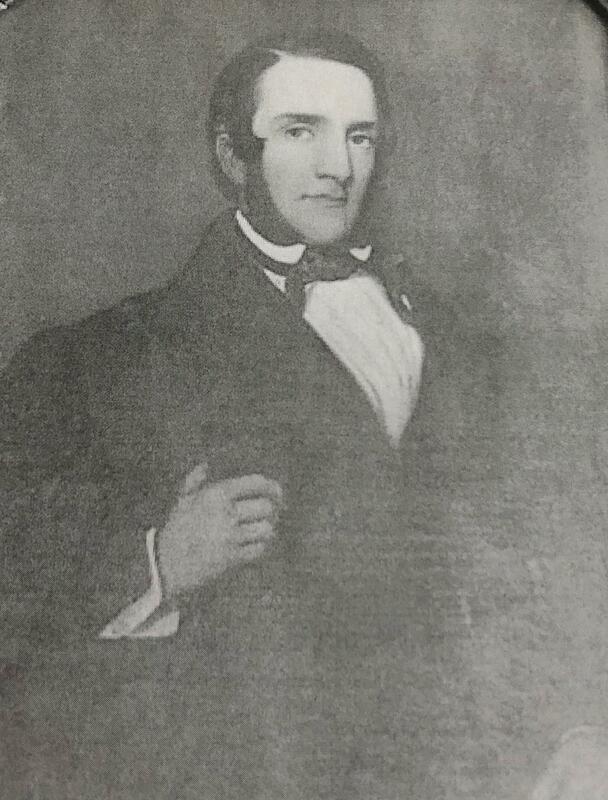 Henry Irwin, the grandson of Mary Pattison and John Irwin. Eventually, Mary’s husband, John, died, and Mary and her son took over the factory. The public listing in directories then read Mary Irwin and Son, further evidence of her status in the business community. They had some trouble with fires, due to a new waterproofing method that involved tar and open flames, but ultimately the operation continued to grow. By the time Mary retired the family rope company was successful and sprawling. Madge Baker is Mary’s great-great-great-great granddaughter and said the family story is still celebrated. Mary and John Irwin were both buried at Allegheny Cemetery. The family is still remembered in this region. The borough of Irwin was named after their family and there’s a Rope Way on the North Side. An introduction to WESA's profiles on women in Pittsburgh history with Gloria Forouzan, office manager for the mayor. A former Pennsylvania pediatrician has been sentenced to 79 to 158 years in prison for sexually assaulting 31 children, most of them patients.